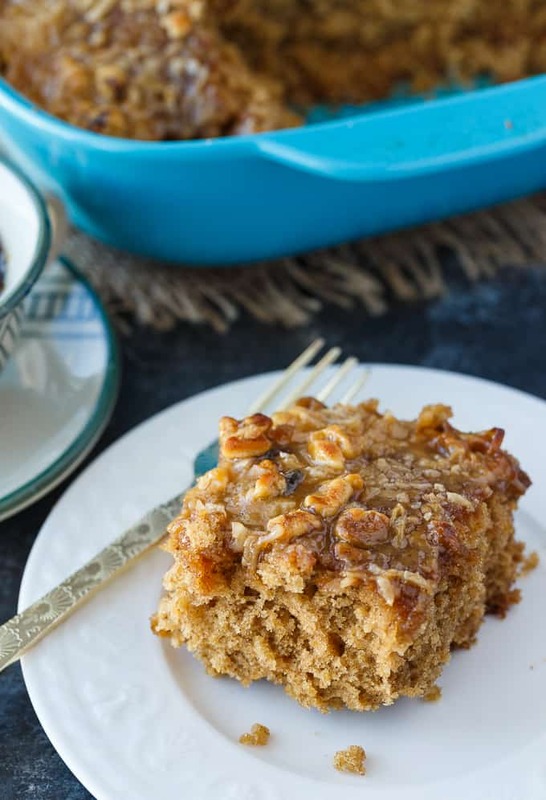 Oatmeal Cake is an incredibly moist vintage cake that is covered in a sweet, buttery crunchy topping. It is out of this world delicious! 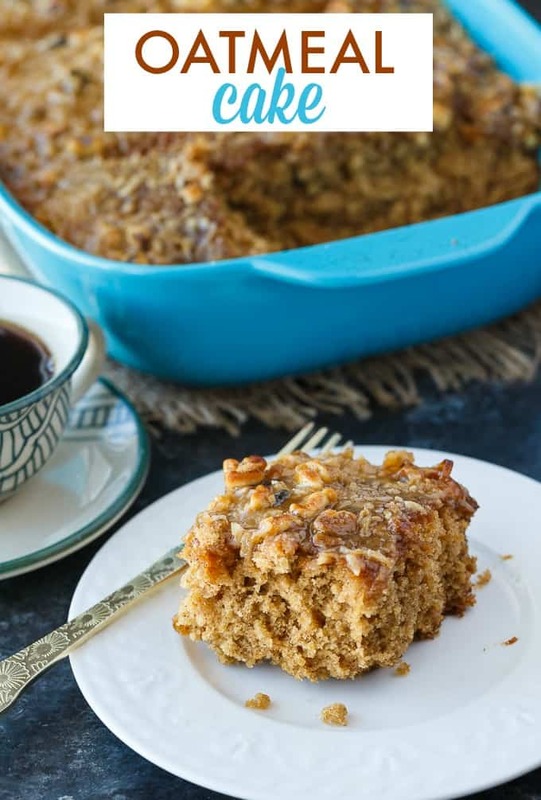 Oatmeal Cake is a well-loved dessert passed down from generation to generation. It’s an old-fashioned recipe that my grandma used to make. Do you agree that grandma has the BEST recipes? Tried and true. The addition of oatmeal to a cake may sound strange, but let me tell you that it makes it incredibly moist. It’s not dry oats that you are adding. It’s actual cooked oatmeal. Who knew? 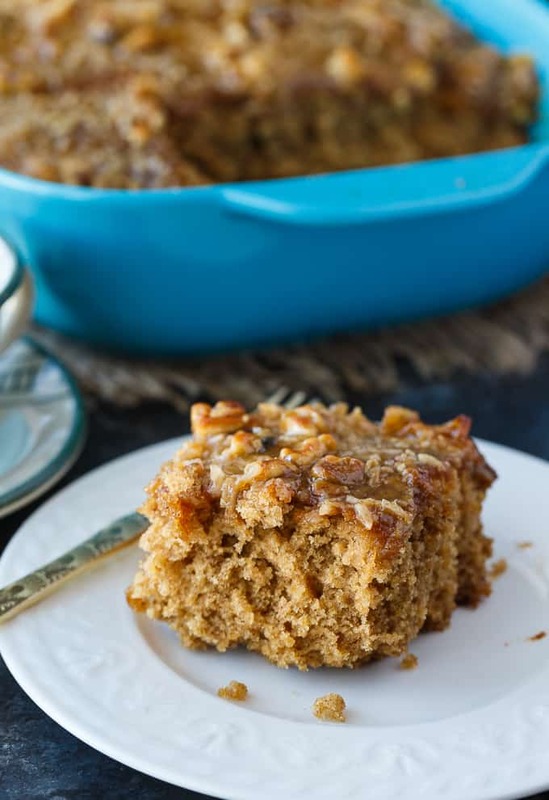 The topping is a mixture of walnuts, coconut, brown sugar, vanilla, butter and cream. It’s sooooo decadent! It reminds me a little of the topping on a German Chocolate Cake…minus the chocolate, of course. It is spread on after the cake is baked and then you broil it for a couple minutes to cook it. It melts and bubbles and is ready to eat shortly afterwards. 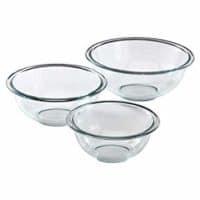 Start by greasing a 3 quart baking dish. The next step is to make the oatmeal. Pour boiling water over quick rolled oats and stir together. Let it cool. 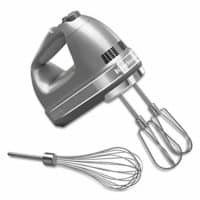 With a mixer, cream the butter, sugar and brown sugar. Add eggs and beat mixture until it’s fluffy. In another bowl, sift together flour, baking soda, cinnamon and salt. Add the dry ingredients alternately with the oatmeal to the butter mixture and stir to combine everything. Spread into the prepared baking dish. Bake for 45 minutes at 350F or until a toothpick comes out of the centre clean. While the cake is baking, mix together the Oatmeal Cake topping. 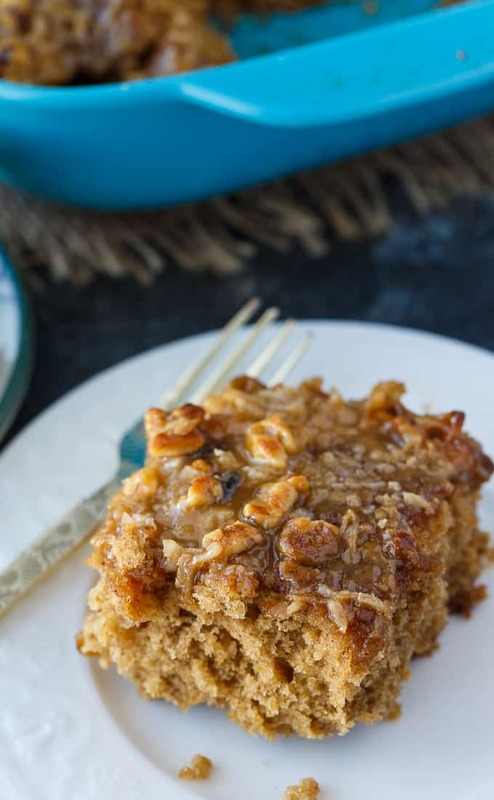 Stir together melted butter, brown sugar, coconut, walnuts, cream and vanilla extract. Spread the mixture on top of the baked cake. Broil 4 inches from the burner until just melted and bubbly. My cake took about 2 minutes under the broiler. These kitchen tools will help you make this recipe. 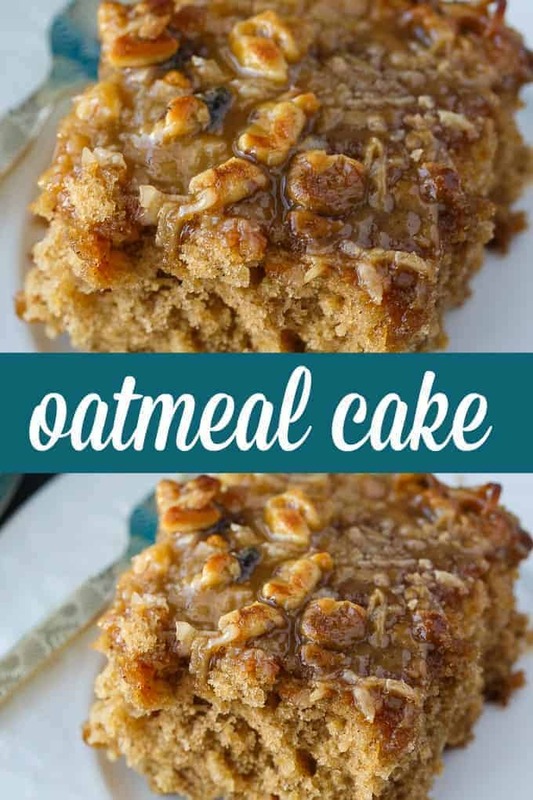 I have several more yummy oatmeal desserts to try. Oatmeal Pie: An old fashioned dessert just like Grandma used to make! Oatmeal Casserole: A hearty, wholesome breakfast that will impress your family and friends! Trail Mix Oatmeal Cookies: Chewy and packed full of delicious flavour and texture. These cookies are wonderful served with a cold glass of milk. Oatmeal Raisin Cookie Cups: Nestled inside an oatmeal cookie cup is a layer of raisin pie filling topped with cinnamon cream cheese. Peanut Butter & Oatmeal Chocolate Chip Cookies: Mega delicious cookies packed with mini chocolate chips, browned butter oats, creamy peanut butter and chopped peanuts. You might also like this Fool’s Cake. 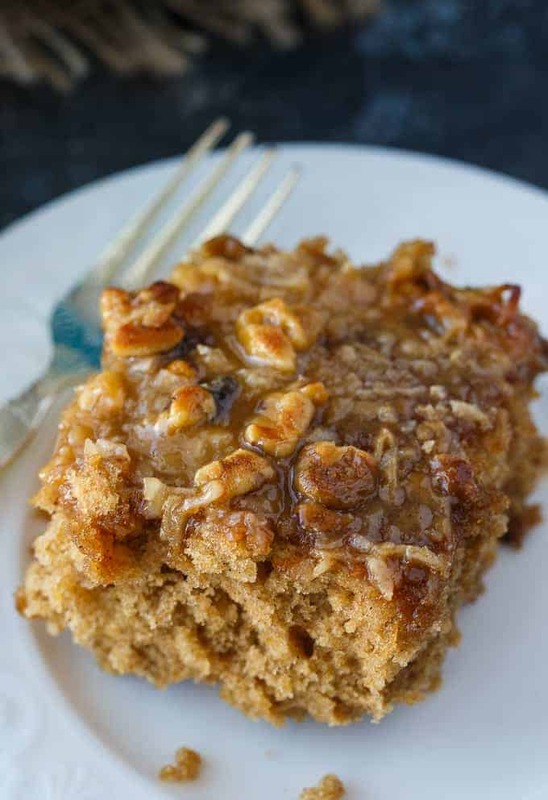 Are you a fan of Oatmeal Cake? I’d love to hear what you thought of the recipe. This incredibly moist vintage cake is covered in a sweet, buttery crunchy topping that is out of this world! Preheat oven to 350F. 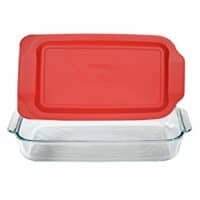 Grease a 3 quart baking dish. Pour boiling water over the quick rolled oats in a small bowl. Stir together and then let cool. Cream together butter, sugar and brown sugar. Add in eggs and beat until fluffy. Sift flour, baking soda, cinnamon and salt into a large bowl. Add dry ingredients alternately with oatmeal to butter mixture and stir to combine. Spread mixture into baking dish. Bake for 45 minutes or until a toothpick comes out of the centre clean. In a medium bowl, stir together butter, brown sugar, coconut, walnuts, cream and vanilla extract. Spread mixture on top of cooked cake. Broil 4 inches from the burner until just melted and bubbly, about 2 minutes. 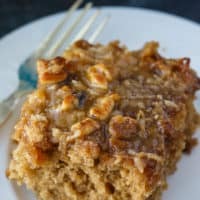 The oatmeal cake tastes great with a cream cheese frosting, whipped cream, ice cream, or caramel topping if you don’t have the time or ingredients to make the original topping.